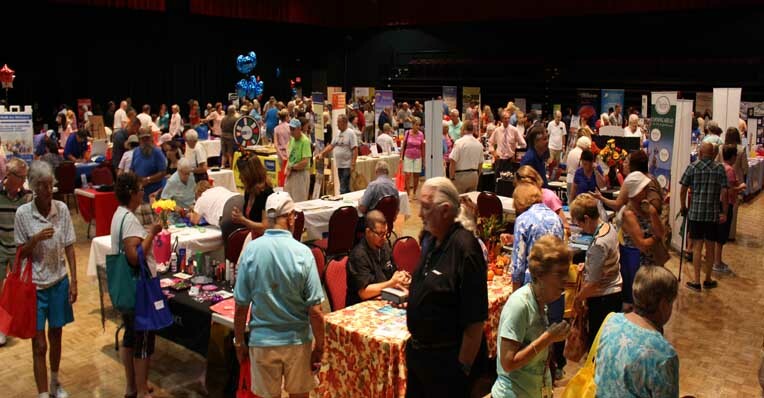 Kings Point Suncoast events offer something for everyone! First class professional entertainment – 18 shows throughout the year on our theater stage: musical groups spanning many years and a variety of musical styles including pop, country and rock; comedy acts; orchestra concerts and more. Two of the most popular events are put on by the residents themselves: The Follies Show (talent show) and Lip Sync Show offer fun and often hilarious entertainment every year. You can catch an afternoon matinee or enjoy an evening movie with ice cream or popcorn – scheduled regularly in the theater. It’s party time and you won’t go away hungry or thirsty! In addition to the daily dining options at Le Perk and Palm Court Café, special dinners are offered every month, including Prime Rib Night, Surf & Turf Night, and the Monthly Dinner. And you can join other active adults at the South Club Pool for the Saturday and Sunday Pool Deck Cookouts. You won’t want to miss the Food Truck Rallies with live music and dancing. 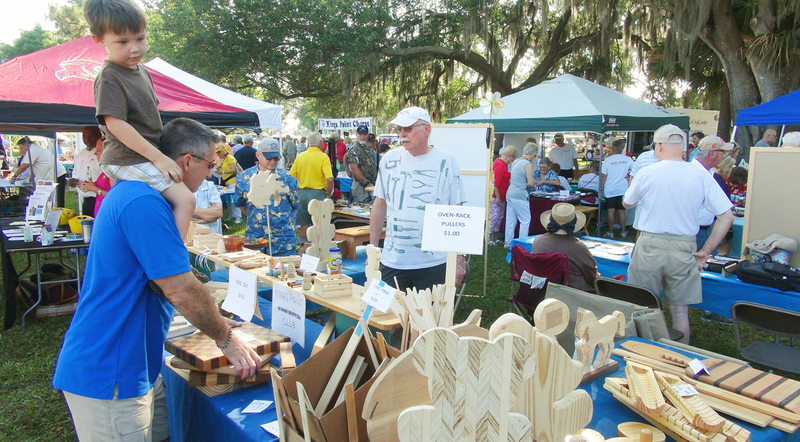 And enjoy the annual festivals like Ring in the Spring with music and food, and vendors of all sorts. Special event parties are organized for just about every holiday – St. Patrick’s Day, New Year’s Eve, Labor Day, Valentine’s Day, Derby Day, Super Bowl, to name just a few. 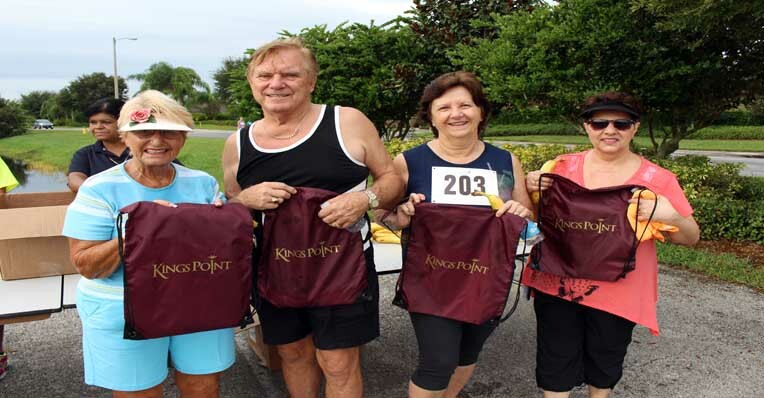 Active Aging Week – join in on the 2-mile Fun Run/Walk and attend seminars by local professionals on a variety of issues important for healthy living, including health, legal, and financial advice. 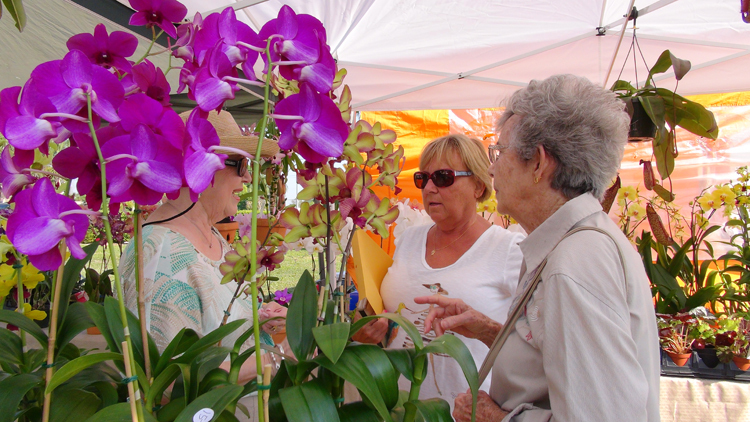 Farmers Market offers fresh produce for your shopping convenience without leaving the community. 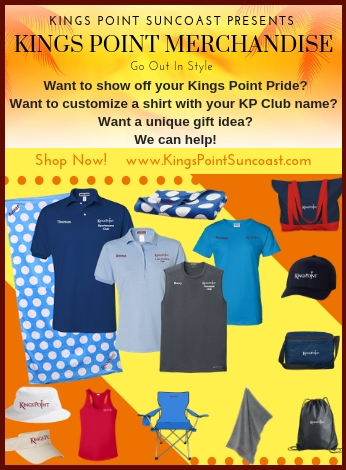 Whatever your interests there are activities, events, clubs, or organizations in Kings Point Suncoast for you to enjoy year round. 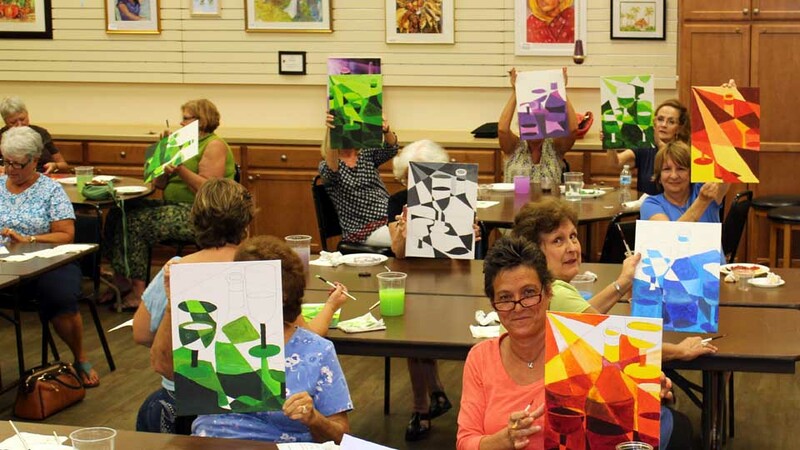 We have designed a full calendar of events for your active 55+ lifestyle. To learn more please contact us!